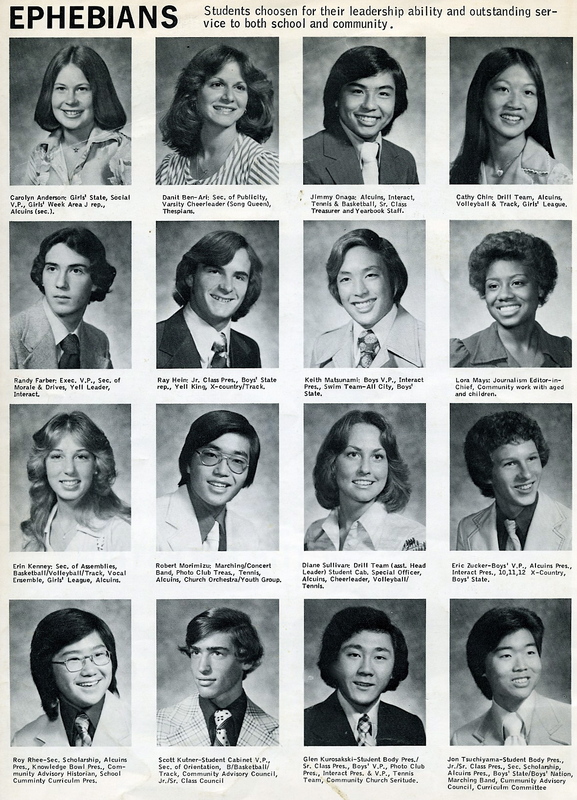 This blog is for the Reseda High Class of 1977 and friends of the class of 1977. The school is located in Reseda, CA. We have great news!!! Due to overwhelming demand, Hollywood Park has allowed us to EXTEND OUR FINAL PAYMENT DATE UNTIL 5/25/12. That means that any of you who wanted to come but missed the 5/9 cutoff can still purchase tickets for all the fun. Again, the cost is ONLY $40 and that included valet parking, a program, a delicious lunch buffet, a group picture in the winner's circle and the entire day to reconnect with all your classmates. It's going to be a BLAST FROM THE PAST and we don't want you to miss it. So don't delay, email, fax or call Hollywood Park with your payment today. Use the same payment form. NO PAYMENTS AT THE DOOR ON THE DAY OF THE REUNION. Go to this link for the payment form. Disregard the 5/21/12 due date on the form. Pay by 5/25/12. Debbie Mollner, Glenn Kurosaki, Daniel Shudo, Jon Tsuchiyama, Randy Farber, Kelly Tyson-Montgomery, Julie Lagerwall-Riddell, Dona Bunzel-Rawson, Nancy Sellers, Tammy Graf, Michael Nikaido. It’s time for our 35th Reunion. Can you believe it? We have planned a jam-packed, fun-filled event for Saturday, June 2nd, 2012, 12-5pm at Hollywood Park (HP) Race Track in Inglewood, CA. We have worked very hard to keep ticket prices low so for ONLY $40.00 per person, you can valet park, receive admittance and a program, a delicious lunch buffet overlooking the finish line on the al fresco private patio, a picture with our group in the winner’s circle and most importantly, the entire day to reconnect with your classmates. We had our 50th Birthday Bash at HP with great success so we know this event will be a WINNER as well. HP requires the Credit Card Authorization form to be completed & faxed or emailed to their Group Sales office no later than 5/21/12 for payment and this form will serve as your receipt of charges. If you cannot email or fax this form, please call the HP Sales office to pay over the phone. HP email & fax/phone #’s are on the HP Credit Card Authorization form attached. If you need the form, send an email to reseda1977@yahoo.com. In the email, include your name while at Reseda. We hope you will join us for this great day. We have opened up this event to other RHS alumni and teachers as well so if you know of anyone who might be interested in attending, please forward them this info or have them contact our reunion committee at reseda1977@yahoo.com. 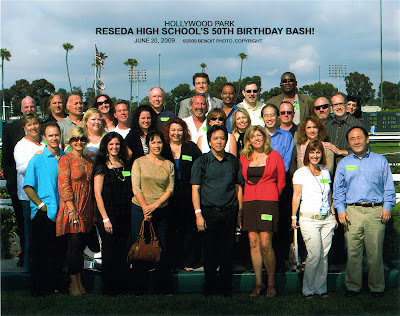 Reseda Class of 1977 and guests. Front Row. left to right: Gary Schober, Robin Stark Schober, Tammy Graf, Francesca Castro Angulo, Daniel Shudo, Kerry Sparkman Hallas, Janis Wolinsky Kramer, Glenn Kurosaki. 2nd row: Dona Bunzel Rawson, Debbie Mollner, Julie Lagerwall Riddell, Dalila Paredes, John Riddell, Dawn Shifman Tietz, Nancy Sellers, Michael Nikaido, Hugh McNair, Linda Kutner, Scott Kutner, Roger Ellison and wife Willi. 3rd row: James Mellein, Greg Gerlich, Mike Koble, Kelly Tyson Montgomery, Jeff Tritt, Dave Bashara, Jason Corbett, Kevin Jackson, Arndy Farber, Shelton Hall. Missing: Jon Tsuchiyama, Erin Kenney, Zerriet Johnson, Charles Avery, Derrilyn Johnson, David Dutton, David Ramirez. 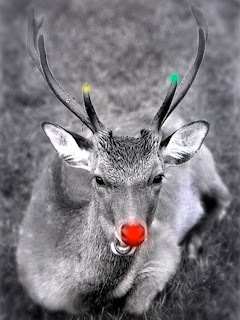 Reseda Links, click on the following.